Ang damuhan ay isang blog na naglalaman ng mga kuwento, sanaysay, hinuha, kuru-kuro at opinyon sa iba't ibang bagay na may kaugnayan sa tipikal na Pinoy. Damuhan (Grassland or Lawn) is a blog that contains stories, essays, inferences, opinions and views on various matters relating to a typical Pinoy. This is just a minor correction. Writing in Filipino doesn't give you an excuse on using the correct grammar and punctuations. Make sure you know when and how to use the hyphens, apostrophes and words such as "rin" and "din". I admit that there is still a debate on using the header tags but it wouldn't hurt if you try to follow some of the rules about it. This is in fact one of the basics of SEO. Coders say that placing a single H1 tag in every page is very important. Usually this is used on the site's title though some people say that it would be best to use it on the article/blog post's title. SEO says that bots from search engine read and prioritize those header tags from H1 up to H6, so make sure that you use them properly. It is a simple as saying, ALWAYS place an ALT (and probably a TITLE) tag to your images. The guest judge has a better explanation on this one. Self explanatory -- Make use of all the unused space but make sure to balance it. More space gives a "there is nothing interesting here" effect, Less space means "this page is too cluttered.."
I actually checked what kind of template are you using, it seems that this is a customized version of the default blogger templates - Simple by John Peterson to be exact. To be honest, your design is too old, it's a thing of the late 90's to early 2000. Don't get me wrong with that, even though I admire the simplicity of it, most of the time being plain doesn't catch the viewer's eyes. Another thing, I love your banner, but isn't it too big? Rule of thumb on web designing: load your site in the browser and without scrolling, what are things that you can see? Does it give you an idea on what to expect? Try it also on different monitor sizes. This is called the "above-the-fold" concept. Technically, a large banner takes all the spaces that a user would need to scroll first before they can see anything important. Above the fold - a graphic design concept that refers to the location of an important news story or a visually appealing photograph on the upper half of the front page of a newspaper or webpages. Also, I think it would be best to make your subscription form more appealing so that most people will notice and fill it up. No doubt about this, you deserve to have a five for your content. I usually read your posts and I do enjoy reading it. I even recommend it to my friends. Another thing though, you do post series right? and most of time you just stop publishing the rest of the contents because you think that no body is reading this. A friend asks me these questions: "Why would he stop publishing the rest of the story just because nobody seems to be interested? Didn't he ever think of the other part of that nobody who enjoys the story?". Well, I think it's for you to think about this. This is a personal blog and taking the description of your blog, I think the term "damuhan" fits perfectly. I do believe that almost all Filipino have experienced sitting down in a lawn and talk with their friends. I also think that Damuhan is socially active, but giving it more push, you can probably make it viral. The way I see Facebook right now, more and more people enjoys sharing links and photos from Facebook Pages that they think they can relate in and Damuhan gives the same feeling with every posts. Since impact is all about the impression you leave, not just to me but to other visitors, I'm giving you a four for this. I've noticed how the exchange of comments goes on your every post. Having a lot of comments, means that there are a lot of people who can relate and wants to share their ideas to what is written on your article. Basically, that is impact! Today's guest judge is Cipher, a SEO Specialist working in a business consultant company based in California USA. Being in the web, he loves top ten lists. Jeez, who would have thought? The design is simple yet not to be considered as elegant. 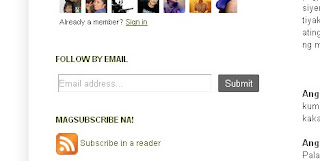 The blog is more about Filipino literary and (IMHO) I preferred a magazine style template especially for literary blogs like this (though it's optional). 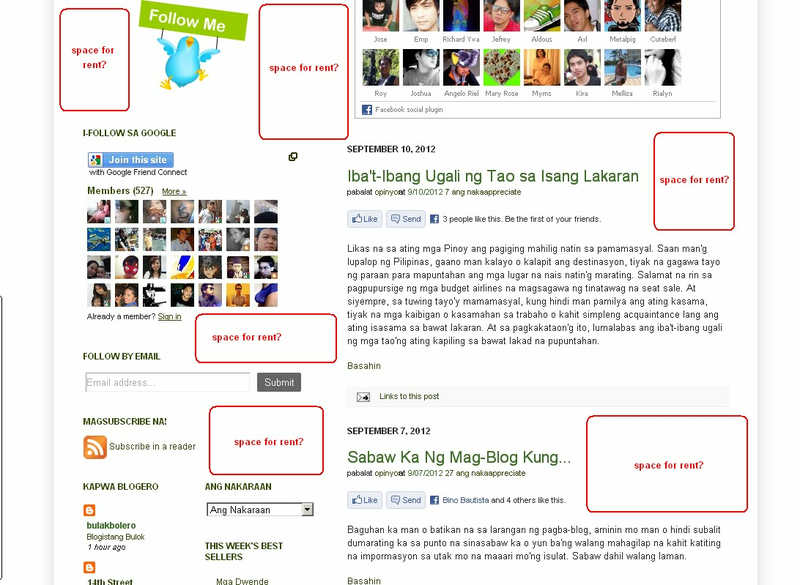 I noticed that there is too much space allocated for blog header. As for the coding part, the blog is using H3 for blog post title in the home page. I suggest that you should use one H1 tag for blog Title on homepage, H2 tags for blog post titles on homepage and H1 tag for blog post title on subpages. Please take note that it would have a greater effect on On-Page SEO if each page is optimized accordingly as mentioned. Yikes, as of 9/8/2012, the blog don't have alt tags on 31 images on your homepage! Remember that Images are invisible to search engines, and alt tags are a wicked easy way to tell search engines what your page is about. The blog seems to be slight to moderate (traffic terminology, sorry for the bad pun) in terms of socially disseminated or shared throughout the net. In fact, it's easily shared and I give higher points for this part. I'd say that I have no comment on the blog's content (totally good stuff on here). I'm not used to reading Filipino blogs but when I was reading some of the write-ups and here I am - hooked up. The means of expressing ideas through literary works are one of the reasons why I'm fascinated and I'd say "keep up the good work on this". 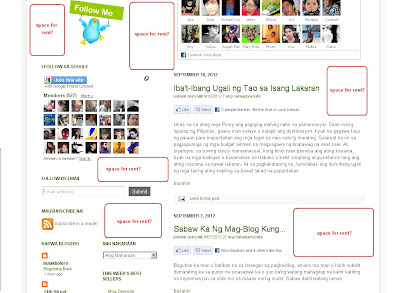 My first impression when I arrived in this blog is that there are 50-50 chances that I might leave the site immediately since I'm not used to Filipino blogs. The part that makes me stay is when I start reading the post titles and content. The blog's content is the best selling part and when you make notice and gives great focus on this part then you're up for the readers as well as the market. Probably, improving your blog design and emphasizing your blog post title (especially in the homepage and subpages) is the major thing the blog owner should consider. That's all and happy blogging!